Goji berries are often referred to as the “Superfruit” and are known for their high levels of vitamins and minerals. 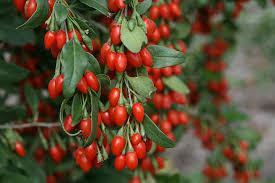 Goji berries can easily be grown in your garden or as a shrub in the landscape. Plants are fast growing with slender silver-blue leaves. 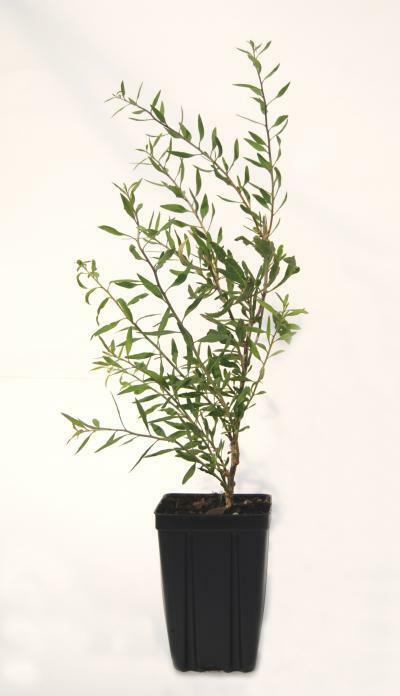 They will thrive in alkaline soils and require little care. Plants will produce flowers and fruit the second year after planting. Fruits are tomato red in color and hang from the branches and when dried, resemble a raisin.